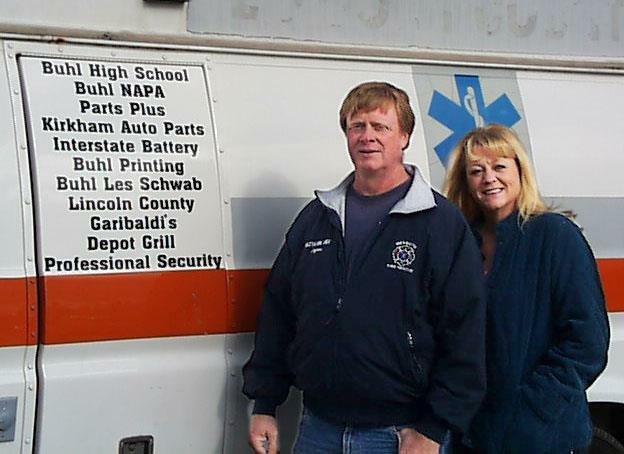 Buhl HS Idaho: Automotive Students dedicate their training and skills to tune up each of the donated ambulances for shipping abroad! 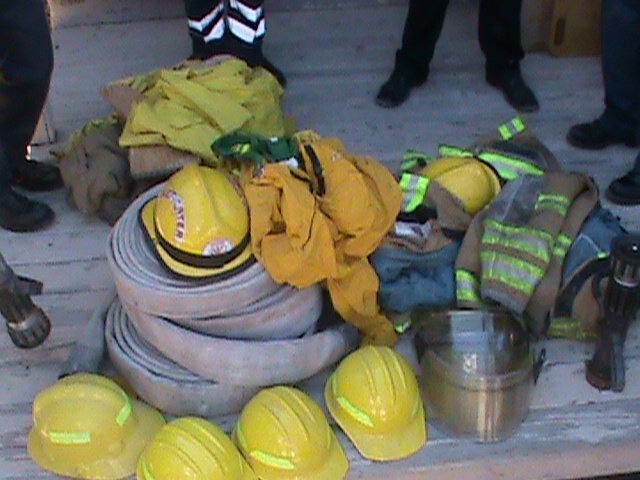 The care Convoy started out informally several years ago with equipment being taken down during trips to the Baja races by rescue teams. We started the official Care Convoy trips Nov. 2010. What have we done since the start of the formal trips in November 2010? 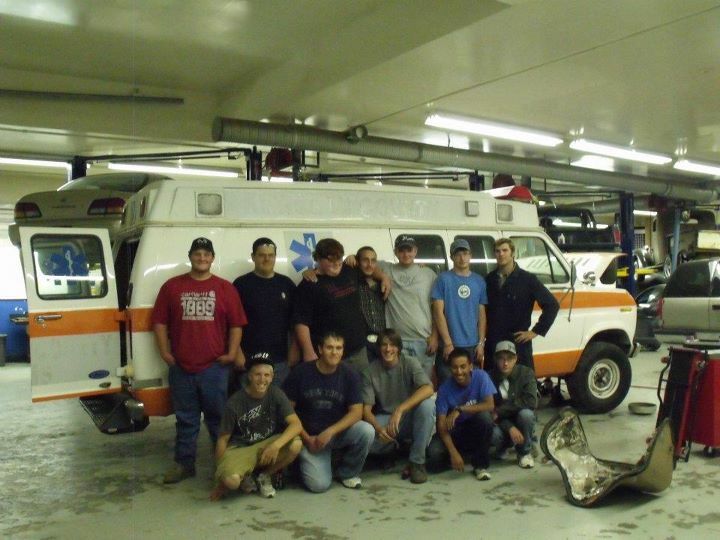 Automotive Students at Buhl High School fixed up an ambulance to send to Mexico and will help with others. Robert and Alene Jaynes supplied trucks and gas to pick up and deliver these items * Napa Auto parts donated parts to fix up the ambulance * Parts Plus/Kirkham Auto donated parts for ambulance repair * Depot Grill donated dinner or breakfast and a place to start out trips * Interstate batteries donated batteries for the ambulance * Les Schwab donated tires for the ambulance * Garibaldi’s restaurants have put up donations jars to help raise funds * Jackpot Fire donated supplies/equipment *Hagerman Fire/Rescue donated supplies/equipment *Rupert Fire donated supplies/equipment * Sun Valley Fire donated supplies/equipment * Beaver dam/Littlefield Fire donated supplies/equipment * Duard Stout donated supplies/equipment * Rod Gamble donated supplies/equipment/ambulances * Shoshone Fire donated supplies/equipment * Micro Chips donated supplies/equipment * Mustard Seed donated supplies/equipment * Mustard Tree donated supplies/equipment * Families Plus donated supplies/equipment * St Lukes donated supplies/equipment * DJ Jensen donated supplies/equipment * SCORE International helped out with gas money * Instant Mexican insurance donated time and money * Twin Falls Storage donated storage space to store donated items * Kerry Graves has donated time and use of his trucks as well as putting together crews/trucks for the trips to Mexico * Buhl printing donated signage for the ambulance * Jim Holston donated supplies/equipment * Professional security donated trucks, time, and services * MVT donated news coverage * West Gates donated time and materials * Lincoln County donated and ambulance Kinko’s Boise donated services * Signed Sealed and Delivered donated services * NORRA donated time and resources * Filer Fire Department * And many others.